Public Auction with RESERVE - Rich Schleuning Properties LAND AUCTION - Friday, February 22nd, 10 AM at Chadwick Lions Club, Chadwick Registration at 9:30, Auction at 10:00 AM sharp. SCHLEUNING FARM Very Nice farm located approximately 2 miles West of Chadwick and ¼ mile North on Oakville Road. 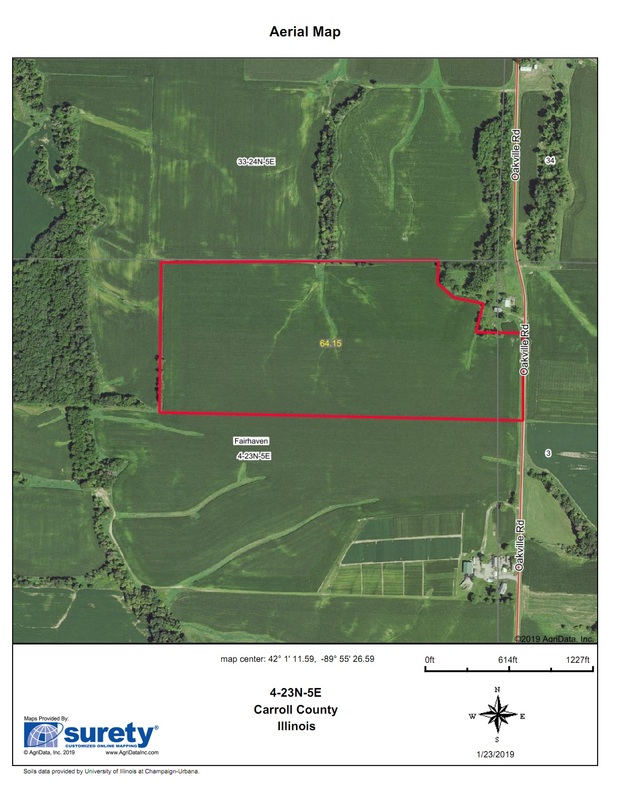 Approximately 63 acres with approximately 61 tillable acres available to farm for 2019! Farm has been fertilized and chiseled and ready to go for Spring! 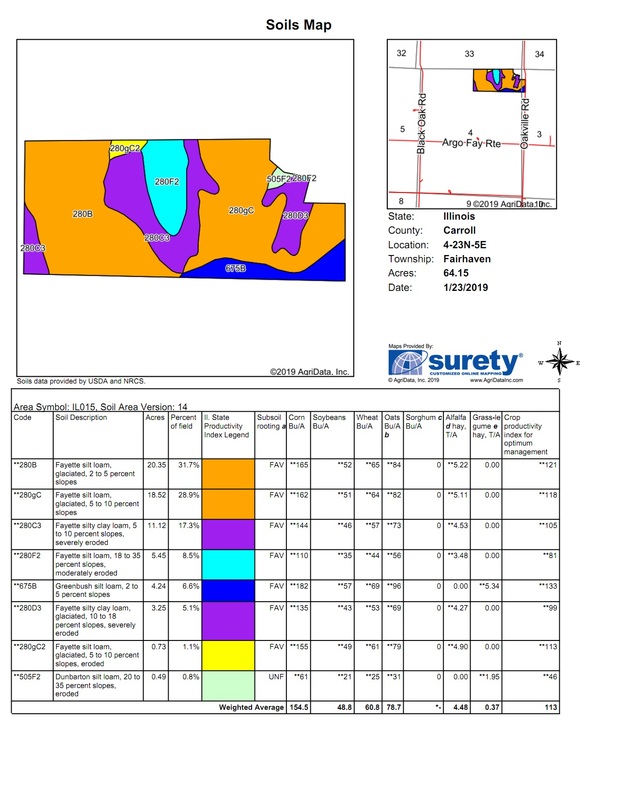 TOTAL ACRES: 63 Approximate TILLABLE ACRES: Approximately 61 SOIL PI: 121.7 Osco Silt Loam, Greenbush Silt Loam, Seaton-Timula Silt Loam TAXES: 2017 $13.33 per acre; Tax Parcel #0518400002/Subject to split Final price is subject to final survey after auction.